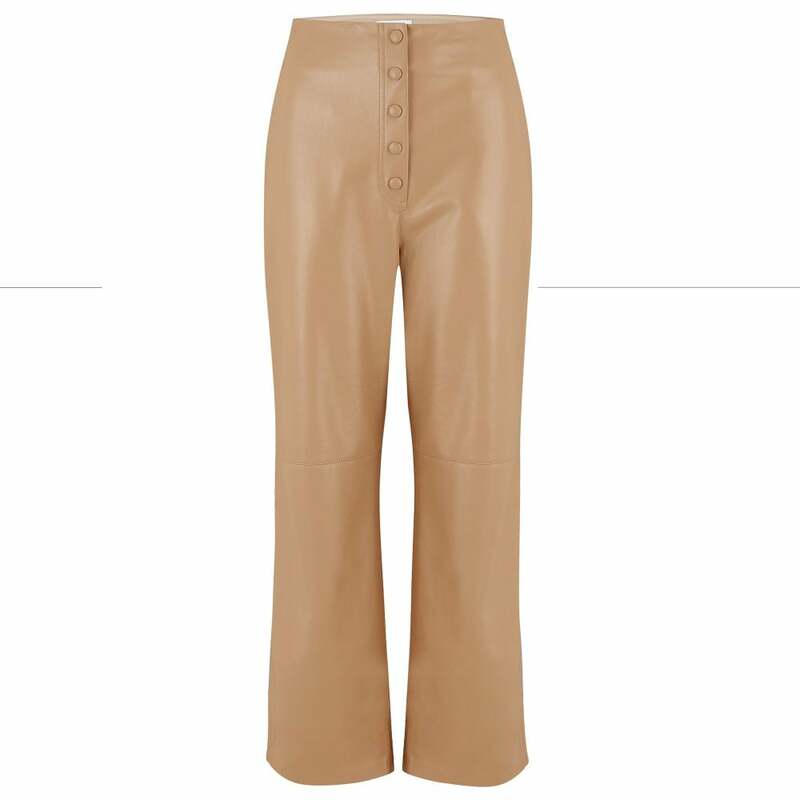 Nanushka Sora Vegan Leather Pants in Pale Caramel: Get on board with one of this season's biggest trends for vegan leather with these fabulous caramel trousers from Hungarian label Nanushka. Styled with a buttoned front, 2 detailed front pockets and a high rise waist in a chic wide leg fit. Wear yours with the Nanushka Clare Ocelot Print Top for an Instaram-worthy look.